Your wish to visit a historical monument is sure to meet its desired expectation at Cruceiro Do Hio which is well designed with eye-pleasing architecture. You will love the open area from where you will get a brilliant sight of the San Andres Church. The holy cross of this place is the major attraction among the tourists which is well designed with marvel. You should definitely visit Cruceiro Do Hio if you are a Catholic and there is a free parking area for your convenience. You must visit the lighthouse and Galicia water club in the beautiful beach here. 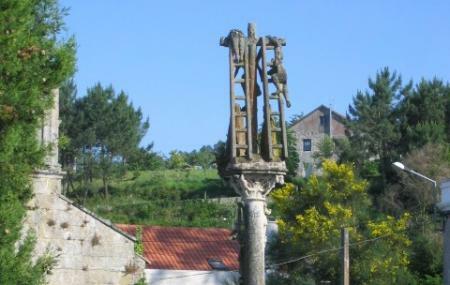 Lovely cruceiro which is one of the best known in Galicia, worth a stop for lovers of historic architecture. Es único, nunca había visto un cruceiro tan espectacular. Preciosas vistas y preciosa la ermita. Crucero muy original.